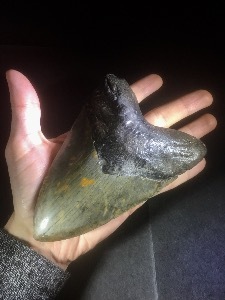 The most common megalodon fossils are its teeth. 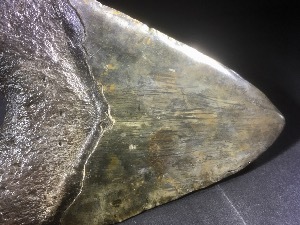 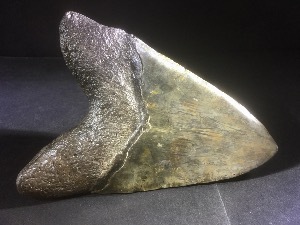 Diagnostic characteristics include: triangular shape, robust structure, large size, fine serrations, and visible v-shaped neck. 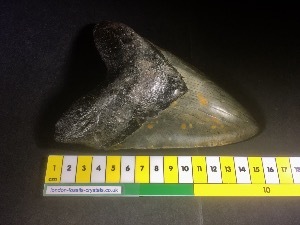 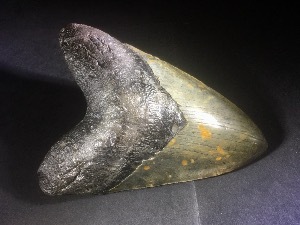 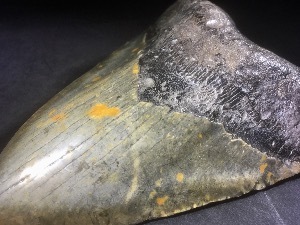 Megalodon teeth can measure over 180 millimetres (7.1 in) in slant height or diagonal length, and are the largest in size of any known shark species.